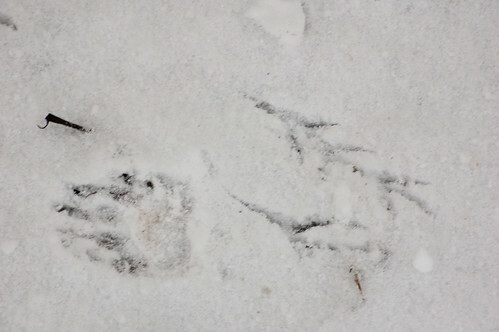 The footprints of a badger and a bird in the recent deep hoar frost. The bird was probably a magpie. 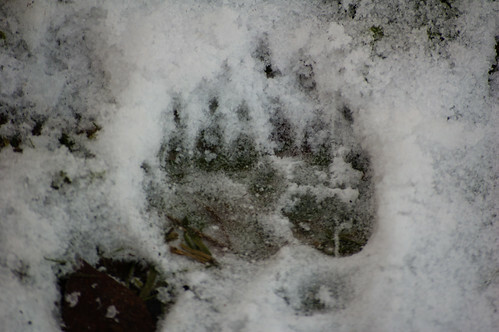 Another (overlapping) pair of badger prints taken on the same day. 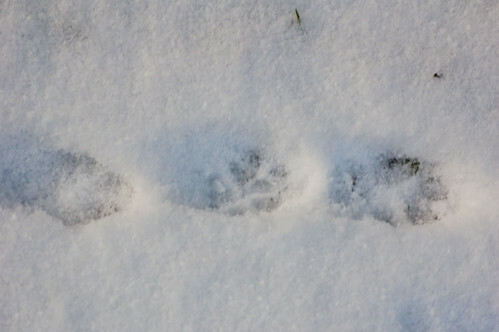 A badger print from a few days previously, this time in snow. This print is much more indistinct that the ones above. 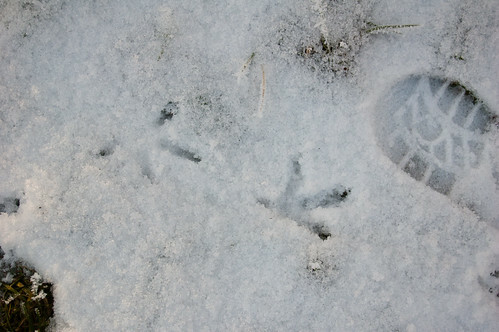 These bird footprints, with my oversized heel as a size comparison, are from a pheasant. 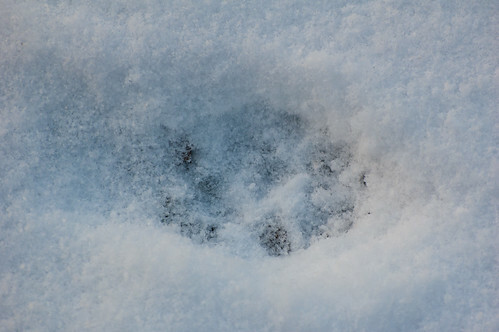 Fox prints in snow. It’s a disconcerting characteristic of fox footprints that they all line up pretty much in one straight line.